You are at:Home»India»Ladakh, Zanskar & Kashmir»Ladakh»How to make a budget trip to Ladakh by Public Transport in 2019? Planning a budget trip to Ladakh by Public Transport? 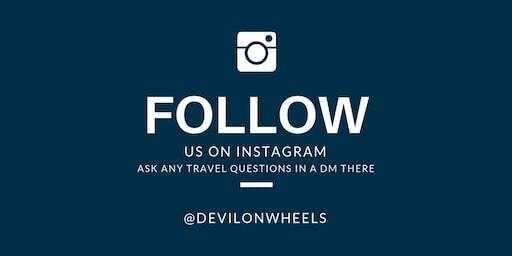 One of the most frequently asked questions by readers/members of Devil on Wheels Travel community is, “Can I make a budget trip to Ladakh by public transport in 2019?”. I know the budget is an integral part of any trip but becomes critical when we make a trip to Ladakh because of a higher number of days required to make even a basic trip. This means the cost of stay as well as having food while on the Ladakh trip increases proportionally to the number of days you have planned your trip. Combined with the fact that the self-drive cars are not allowed for sightseeing in Ladakh, most people are left to opt taxis whose rates are considerably high due to rough terrain, bad roads and a short tourist season window in Ladakh. So, a question like, if I can make a budget trip to Ladakh by public transport is not surprisingly the topmost among the other frequently asked questions for a Ladakh trip. In the past, I have already shared an article about getting an idea of the overall budget of a Ladakh trip. However, today in this article, I will share the tips and tricks with an example of how you can make a budget Ladakh trip by public transport. I am sure this article will be helpful to all those who are planning a solo Ladakh trip especially by the means of public transport. If you are alone/couple and private taxis are very costly in Leh but you will be able to find the shared taxi without much fuss at all. There are lots of flyers which people put at cafes, dine-ins, restaurants, travel agent desks/shops/whiteboards wanting to share the taxis for different trips within Ladakh. Even travel agent organize such shared taxis trip as well but charge a little higher, about Rs 200-300 more than it would ideally cost when you share with other tourists. So, in the worst case, you can always go back to them and book a seat for yourself. Gelling up with people in Ladakh is more or less easy because many people travel solo and look forward to meeting new people and share cultural thoughts and values over the trip. I will outline an example which will be a mix and match approach of using public transport in Ladakh as well as the shared tourist/public taxis and also try to share the other available options in different legs. In order to outline the budget and cover all places of sightseeing in Ladakh, let’s consider our Leh Ladakh most common travel plan as an example which covers the entire circuit as Delhi – Srinagar – Leh – Nubra Valley – Pangong Tso – Tso Moriri – Leh – Manali. Choose your public transport in Ladakh wisely !! Options of travel: There are buses available between Delhi – Jammu costs around Rs 600 as well as Delhi – Srinagar (Sleeper costs around Rs 1800, non-sleeper costs around Rs 1600) but most preferred economic way to travel to Jammu is by train. You need to pay around Rs 400 for sleeper class in train and around Rs 1000 for third AC. Cost of travel: Rs 400 by sleeper class in the train. Cost of stay: You will find many budget guesthouses and stays near bus stand at Jammu ranging from Rs 700 to 1500. So, you can consider Rs 350 – 400 for a stay in Jammu. Options of travel: There are plenty of buses running between Jammu and Srinagar. The cost ranges from Rs 650 (tempo travelers, deluxe) to semi deluxe around Rs 550 to ordinary state transport 52 seater including Marcopolo at around Rs 500. Finding shared taxis from Jammu to Srinagar is easy from Gumat taxi stand. They charge around Rs 950 per person for a shared taxi. Cost of travel: Rs 500 by state transport bus. Cost of stay: You will find many budget guesthouses and stays near Nageen lake or Dal lake or at the back side of Dal lake ranging from Rs 900 to 1200. So, you can consider Rs 450 – 500 for a stay in Srinagar. Options of travel: Plenty of shared taxis and daily buses of JKSRTC run between Srinagar and Kargil. Shared taxis to Leh from Srinagar cost around Rs 1600 – 1800 with a night stop at Kargil. However, there is a direct semi deluxe bus as well that runs from Srinagar to Leh which costs just about Rs 700 and deluxe bus costs around Rs 1300. Cost of travel: Rs 700 for Srinagar to Leh by semi deluxe bus. Cost of stay: You can easily find a guest house in Kargil ranging from Rs 700 to 1000. So, you can consider Rs 350 – 500 for a stay in Kargil. Options of travel: Plenty of shared taxis and daily buses of JKSRTC run between Kargil and Leh. Shared taxis to Leh from Srinagar cost around RsRs 1600 – 1800 with a night stop at Kargil. However, there is a direct semi deluxe bus as well that runs from Srinagar to Leh which costs just Rs 700 and deluxe bus costs around Rs 1300. Cost of travel: Rs 0 as already covered on Day 3 for a drop till Leh. Cost of stay: You can easily find a guest house or homestay in Leh ranging from Rs 700 to 1000. So, you can consider Rs 350 – 500 for a stay in Leh. Options of travel: Here you are not left with many options but either get a scooter or a bike costing around Rs 1000 – 1200 on rent to ride or hire a local tourist shared taxi that might cost you around Rs 600 per seat. Cost of travel: Rs 600 for a shared tourist taxi. Options of travel: Tourist shared taxis are available to travel for a two day trip to Nubra Valley costing around Rs 1800 for a two-day trip. Details are mentioned in the third paragraph of the article on how to get a tourist shared taxi in Leh. You will also get a public shared-taxi as well for Nubra Valley near polo ground in Leh for Rs 500, so the return would cost you around Rs 1000 by public shared taxis. Within Nubra Valley, you can travel by shared taxis for around Rs 300 but will be a bit inconvenient if you want to cover many places. Also, if you are lucky, you can also get JKSRTC state transport bus to Deskit for Rs 250, means Rs 500 for return. However, it depends on if the bus is running that day or not. Cost of travel: Rs 1300 considering you will opt for public shared taxis to Nubra Valley and within Nubra Valley for getting to Hunder, Sumur, Panamik. Cost of stay: You can easily find a guest house or homestay in Nubra Valley (Hunder, Deskit) ranging from Rs 700 to 900. So, you can consider Rs 350 – 450 for a stay in Nubra Valley. Cost of travel: Rs 0 as already covered on Day 6 for a drop till Leh. Options of travel: Tourist shared taxis are available to travel for a two day trip to Pangong Tso costing around Rs 1800 for a two-day trip. Details are mentioned in the third paragraph of the article on how to get a tourist shared taxi in Leh. However, assuming you started your trip on Friday evening from Delhi, it will be Saturday on this day. Hence, you can also get a JKSRTC bus at Rs 600 for return from Pangong Tso (Spangmik). Cost of travel: Rs 600 for a return considering you get the JKSRTC bus to Pangong Tso, Tangtse scheduled on Saturday. Cost of stay: You can easily find a homestay or dormitory tents at Pangong Tso in Leh ranging from Rs 300 to 400 per person per day. So, you can consider Rs 300 – 400 for a stay in Pangong Tso. Of course, the cost will be high in case you plan to stay in tents with toilets and better guest houses with attached bathrooms. But, I am assuming you are on a budget trip to Ladakh. Cost of travel: Rs 0 as already covered on Day 8 for a drop till Leh. Options of travel: Tourist shared taxis are available to travel for a two day trip to Tso Moriri costing around Rs 2500 for a two-day trip. Details are mentioned in the third paragraph of the article on how to get a tourist shared taxi in Leh. There is a JKSRTC bus that runs on every 10th, 20th and 30th of the month from Leh to Tso Moriri and cost about Rs 800 for a return ticket. If you are lucky enough and dates clash on these days, you can consider saving about Rs 1700 for the trip. Cost of travel: Rs 2500 considering you will be taking a shared taxi in case your dates are not matching the dates on which JKSRTC buses to Tso Moriri runs. Cost of stay: You can find a guesthouse or homestay in Tso Moriri ranging from Rs 700 to 800. So, you can consider Rs 350 – 400 for a stay in Tso Moriri. Cost of travel: Rs 0 as already covered on Day 10 for a drop till Leh. Options of travel: Daily HRTC buses available to travel to Keylong on the first day and the second day to Manali and third day to Delhi. However, there is a direct bus to Delhi from Leh by HRTC which costs Rs 1400 and covers the journey in two days with an overnight halt at Keylong. The buses are also available just up to Keylong and Manali as well. Also, there is an HPTDC tourist bus that is available for tourists halts which stops overnight at Keylong and then goes to Manali the next day. Lots of shared taxis option are also available both local as well as tourist shared taxis. We will consider direct HRTC bus to Delhi from Leh via Keylong – Manali. Cost of travel: Rs 1400 for direct HRTC bus to Delhi from Leh. Cost of stay: You can easily find a guest house or homestay in Keylong ranging from Rs 600 to 700. So, you can consider Rs 300 – 350 for a stay in Keylong. Options of travel: Leh – Keylong – Manali, daily HRTC buses available to travel to Keylong on the first day and then the second day to Manali. Also, there is an HPTDC tourist bus that is available for tourists halts at Keylong and then goes to Manali. Lots of shared taxis are also available both local as well as tourist shared taxis. Cost of travel: Rs 0 as already covered on Day 12 for a drop till Delhi by HRTC bus. Cost of stay: Rs 0 as the direct bus to Delhi from Leh does not overnight stop at Manali. Options of travel: Covered in Day 12. Also, there are plenty of HRTC, HPTDC local, deluxe, Volvo buses available which you can take as per comfort, convenience and budget in case you are not taking the direct bus to Delhi from Leh. However, in this example, we are only considering the HRTC bus to Delhi from Leh. 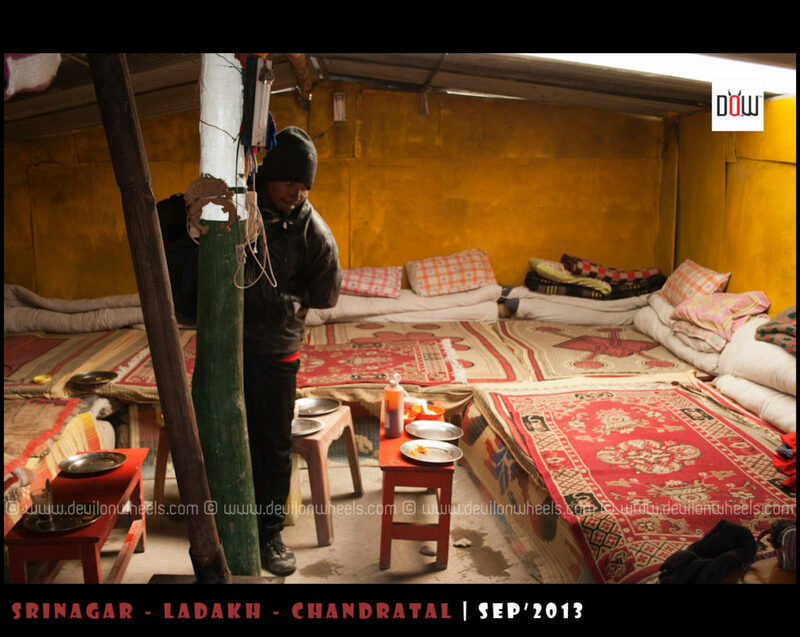 The food all over Ladakh is quite economic unless you wish to lavishly spend in restaurants in Leh and hotels. 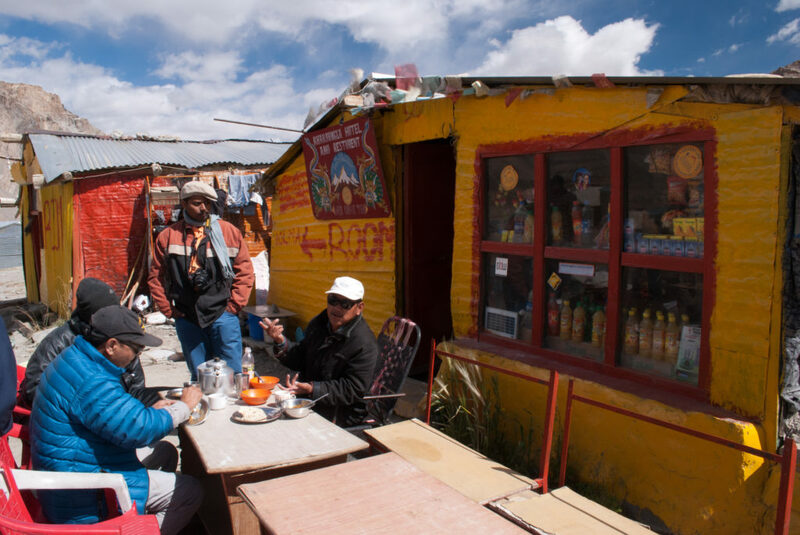 If you eat at regular dhabas where the buses or shared taxis stop and do not wish to go into the high-end restaurants in Leh or Manali, you will not be spending more than Rs 200 – 225 per day on food. 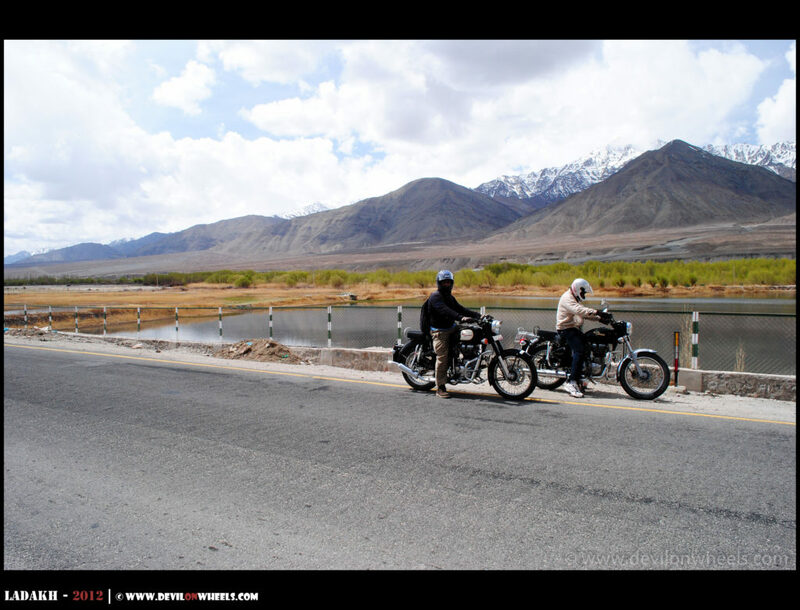 So, for the above 14 day trip to Ladakh, you will end up spending Rs 2800 – 3150 for the food. Hence, the Total cost incurred: on your trip comes out to be (Rs 11700 – 12850) + (Rs 2800 – 3150) = Rs 14500 – 16000. 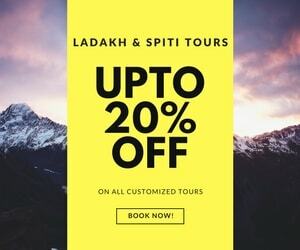 Hence, you can see that if you plan to make a budget trip to Ladakh by public transport and plan it properly as described above, you can easily make your Ladakh trip covering Nubra Valley, Pangong Tso, and Tso Moriri within a budget of Rs 14500 – 16000. In case, you drop Tso Moriri from the plan and only travel to Pangong Tso and Nubra Valley, then as well you can very much make a Ladakh trip by public transport possible on a budget of Rs 12000. This article has been updated with the latest information about making a budget trip to Ladakh by Public Transport. It is kept up to date every season to reflect the current status. Feel free to suggest any further updates you deem fit that I may have missed. I hope the above article helps you evaluate the cost of travel for your trip to Ladakh by public transport. This example will help you fit your own customized plan to give a general idea of the budget to expect out of it. You may skip the places you are not visiting on your Ladakh trip. DO NOT forget to check the top 15 tips on Responsible Travel in the Himalayas. Feel free to share any tips or updates you have to make it more helpful for the other fellow travelers looking to make a trip to Ladakh. I will be happy to update the article with your inputs in the comments. Feel free to share this article with your friends or family who you know will be going on a budget trip to Ladakh by public transport. And of course, if you have any questions shoot them up in the comments section of the article. Good to see and follow your blog & directions you show respectively. I would need your support to plan out for bullet ride for three friends of us so far, it would be 15 days atleast , might extend up to 18 days. – Main aim would be to cover most of the places across Leh-Manali-Srinagar…. – Need to find the organizer who can provide bikes, backup van support through out travel / we might need to disconnect yet times to cover up some additional places as most of the organizer won’t cover up all the places . If any leads towards organizer will be really appreciated. – Need to get an approximate damage for 15days / 18 days trip. It would be really great if I can email you for more discussion . Leh rented bikes are only allowed for sightseeing in Ladakh rest are not allowed. So, if you rent from Delhi you need to pay twice. You can check a very balanced and most common itinerary for Leh – Ladakh followed by many travellers including me at the link here for 13-14 days: Most Common Itinerary for Leh – Ladakh. Thankyou so much for your valuable information! Your itinerary is perfect! I do have a few questions tho, I’m only gonna be in Leh for 5 full days so probably gonna be able to do 2 out of those 3 destinations. Should I do the 2 lakes or go with Nubra and choose one of the 2 lakes. And which one is the better option Pangong or TsoMoRiRi? I’m traveling solo and I’m a foreigner. I realize that I will need permits to go to these places, How long does it take to get these permit? Can it be organized before arrival in Leh or will I be needing an extra day to wait for my permit? I will be taking the HPTDC bus from Manali and I’m not sure what time my bus will arrive in Leh, will I be able to organize the permit the same day as my arrival day to Leh or will it be too late? Again, Thanks for your wonderful post, Dheeraj! I will recommend that you do Nubra Valley and Pangong Tso. Permits can be applied online by foreigners now at lahdclehpermit.in and you can pay the fee through an agent.You will not have time to organize the permit when you come to Leh. It can either be organized next day when you rest in Leh OR online. I’ve checked the website for online permit, there’s a section where I should choose a travel agent. There are so many options should I just choose any of them? Do I have to contact the travel agent separately or I just choose whichever travel agent? And the payment will be during the online registration or after I received the permit once I arrived in Leh? Ok, so Nubra and Pangong then… I’ve asked a few people and most of them said that Tsomoriri is the better option because Pangong is too crowded and all… but to think again, this is my first trip to Ladakh so there’s no way I’m skipping Pangong. Aah, I am sorry I never applied the permit for PAP. Can you try out selecting the operator and then paying the fee. What I mean is do not follow the plan you have proposed in your first point. Refer the article and try to come up with similar plan for 5 days. Hi, I amhave Gaurav I want to know few questions answer pls reply me pointwise. 1. I am going Leh on 2nd October & returning back on 5th October. But my plan is 3rd October I am planning to go Panganog lake & same day rerun from Panganog lake which is best way of transportation safe and cheap actually we care only 2 person. Pls advise this regards. 2. Any idea wheather in October 1st week as per your experience. 3. Local Leh sighting which is best transportation. 4. Pls let me know Kardula pass 4th October schedule as well as same day return to my Leh hotel. 1. It will make you end up in a hospital or badly suffer from AMS. Please read: How to make trip to Ladakh in 5 Days? we are planning to visit leh from may 27th to june 3. we have booked air tickets to srinagar and thought of having a drive from there to leh. we would like to get clarification on following queries. 1- is srinagar -leh highway is opened? 2-whether it is safe to have drive soon after opening? 3-if we hire a taxi from srinagar, can we use the same for the local travel in leh and return trip? 3. Srinagar taxi can only be used for a drop to Leh only. Then Ladakh based taxi needs to be hired. You can call the local drivers directly to connect with them and check the more comprehensive List of Taxi Drivers for Ladakh – Srinagar – Leh – Manali with recommendations/reviews for DoW community members. Hi, is it possible to skip jammu, patnitop, sonmarg, drass, kargil? Not sure, if these are connected in the same route. I was thinking of returning from Leh to Srinagar (by taking any shared taxi/bus), and then take flight to Pune from srinagar airport, is it possible? 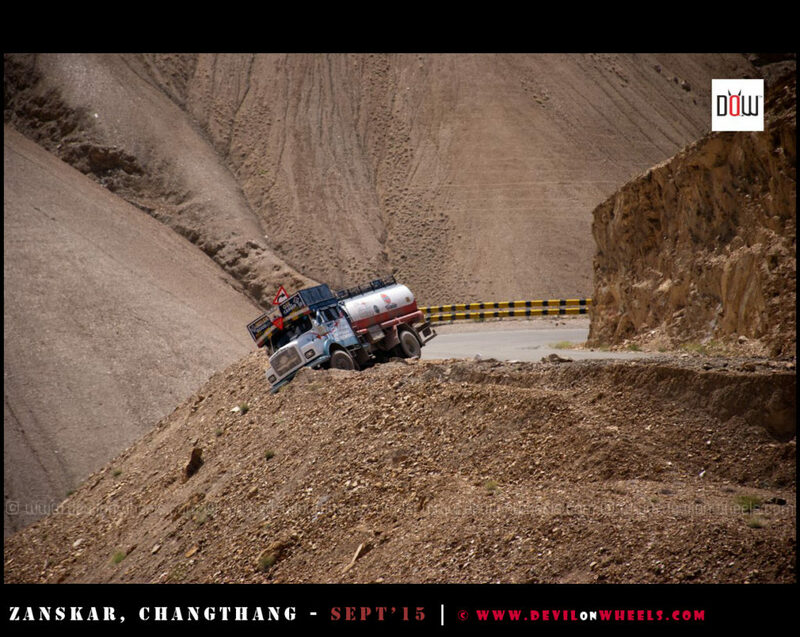 and I will be reaching leh via delhi-manali-keylong-leh route. I will take the direct bus from delhi to leh and stopover at keylong. Thanks. Not really, these places fall on the route. Dear Dheeraj, thank you for the excellent information, we are planning a similar trip according to your itinerary. However, i realise each place we will only stay one night and the travel time from one point to another seems long, does it allow us enough time to see one place? It is balanced itinerary to feel a bit of place and then next morning reach the other place with time. However, it will not let you soak in the place. If you want to soak in the place and explore it more, you should either drop couple of places or add more days. Thank you Dheeraj! I have been searching around but did not see any shared taxi or public transport option from Tso Moriri to Keylong, trying to save two days instead of doing Tso Moriri to Leh, Leh to Keylong, Keylong to Manali…. i only saw people did the direct with their own vehicle, is this still the case? 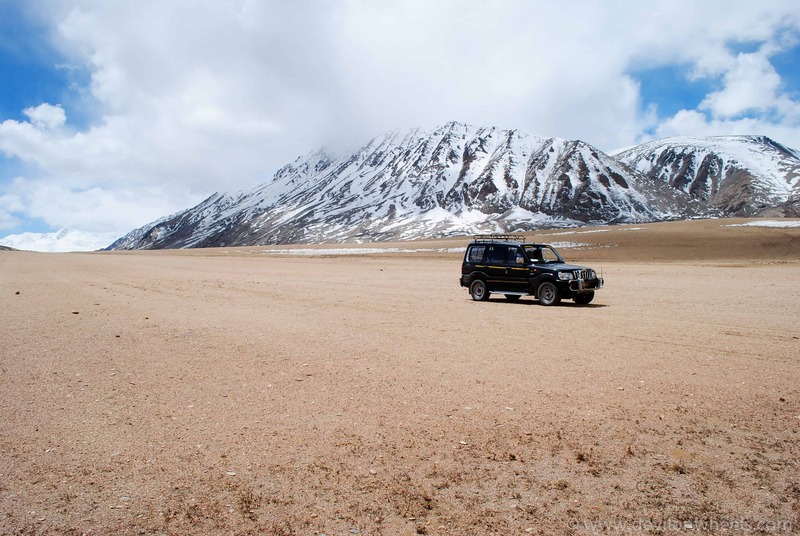 Yeah, the only shared taxis that you will be able to find for three day trip to Leh – Tso Moriri – Sarchu – Manali will be on the spot in Leh main market or changspa road where people put up such tours and look forward for people to share costs. Or you find such a group over online travel partners. Other than that local tour agents also run such shared tours and once you are in Leh, you should be able to get that seat with a bit more premium for it. Thank you Dheeraj for the great advice and information!! Look forward to the trip! Awesome, have a great trip and feel free to post any further questions you may have. Thank you so much Deepika, glad it is useful to you. Only HRTC bus will be available in case weather permitting on Manali – Leh in September end. HPTDC buses stop running on this route. Hi Dheeraj you’re more than an encyclopedia/Wikipedia on Leh.Travellers need to just take your step by step planned itinerary. you’ve made it very simple for us.Thanks so much.We are planning a trip around the last week of August 2017 so I just have a few queries. as I went thru the list of hotels at a glance,I found many are sold out for the dates we are planning.so, in that case do I need to do my booking now or can I reach Leh and do it.Also regarding the ILP can we get it done after reaching Leh with the help of drivers you have recommended.please let me know if we can do pangong lake and Tso Morri in one day.If so,what formalities to be taken care of and how to go about it? Thank you Mrs. Fernandes !! You can reach Leh and find out guest houses after reaching as well. Searching few places, you should get one you deem fit. Being Indian, you do not need any permit to cover most tourist places in Ladakh including Nubra, Pangong Tso and tso Moriri. 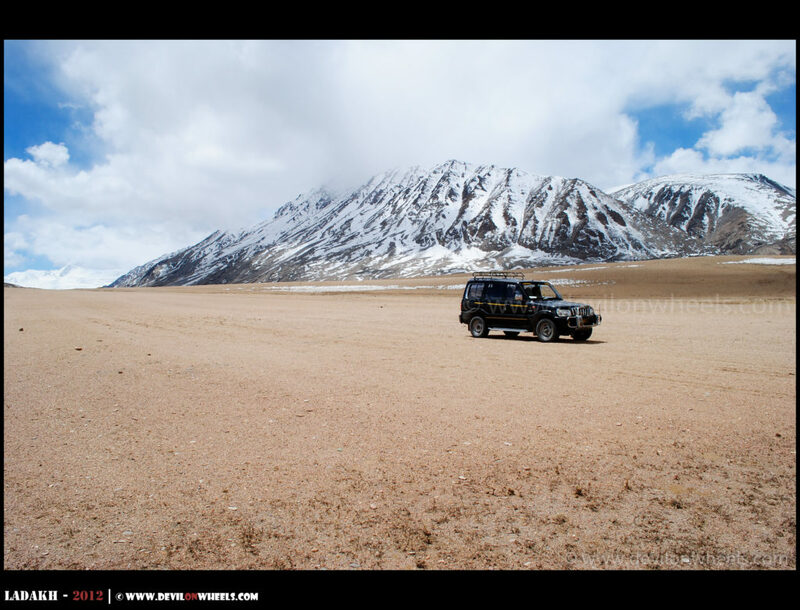 Do you mean you want to do Pangong tso to Tso Moriri? We are following your 9 day trip to Ladakh itinerary with some small changes.Trying to go to Marsimik la on the way back from Pangong so to Leh. Just advice us on how to get the ILP for this. Can we get it without any hassle after reaching Leh. What I mean is does it take time to be issued out or can we get it as and when we apply? We have applied for hotel bookings via DOW link for Pangong so and Tso Moriri. am waiting for response. haven’t been able to get a decent hotel at Kargil. Please help me with some suggestions. Most of the moderate ones show they are not available for 27th Aug 2017. Hoping to get a solution for all my queries Dheeraj. You make us feel safe and secure at this forum. God bless u n your team for the wonderful work you r doing. Purabi, you can check: Inner Line Permits for Leh – Ladakh to know about the process to get the permits. Kargil you have Greenland hotel which decent enough for a stay and I have always stayed up there. 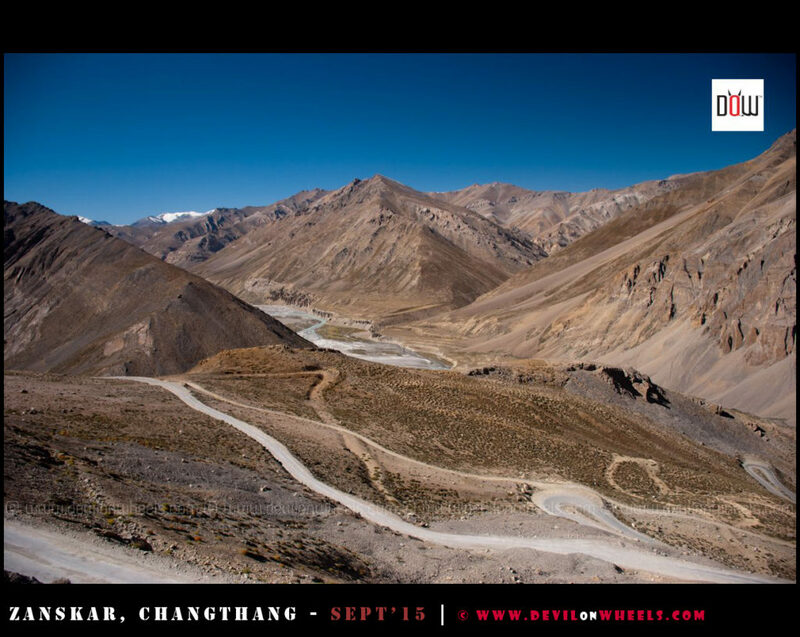 Gaurav from Offbeat Escapes must have replied to your queries by now for Pangong Tso, Tso Moriri. He can help you find the booking in Kargil too. You can talk to him. Thank you for the warm words, glad we are helpful. lit covers Jammu – Srinagar way to come back via Manali -Leh way . Thank you Mukesh, glad it is helpful for you. Please provide information for my queries. 1. Can we take ZOOM Car, Myles Car from Delhi to Ladhak. Means is it fine to take self driven rented car there. And are we allowed to take car anywhere in the local. Means will it be mandatory to take Taxi for sightseeing. 2. Is there any government accommodations in Leh- Ladhak like Banks Guest House, PWD Guest House, Circuit House or Forest rest house etc. 3. We are student, what should be the ideal budget for a 6 Day/7Night Trip. Or is there anyone who will get us a package for person to see the whole tour. We are planning to come in Mid September. 1. You will not be allowed for any sightseeing in the outisde rented car. 2. I hope there should be but not 100% sure. Otherwise there are tons of great home stays or guest house where you guys can stay. 3. Best is the plan the tip yourself in case you want to save some bucks. Also, 6 day means, you will be flying to leh, right? I am travelling to ladakh for a marathon on 11 sep but arriving on 1sep . Am a solo traveller . A group tour to nubra and pangong for 3 nites is about 25 000 rupees . I have about another 5 whole days and i was planning to go Sham Valley and how do i get a shared taxi with another female traveller ? I have few questions for my leh Trip. 2. Is there any share taxi available from Delhi to Leh, If you have contact details then please share it and if not then name of area from where in delhi i can find taxies for Leh. 3. I am not able to find our schedule of HPTC bus, so it there other website where i can get that. Thanks for the very informative write up. Can you give me some numbers of shared taxis available for Srinagar to Leh. Also would you suggest to stay in Kargil for a night or go directly to Leh? I am reaching Srinagar on 5th August and would want to start to Leh on 6th August. Shared taxis do not have any contact details. They run if they make the trip to that place and are returning. You will get many places. Thank you for answering all my questions in detail and with precision . All your inputs have been very helpful and the links have nearly all the info I was looking for my trip . Keep the great work up ! Thank you, glad it was useful to your Ladakh trip. Raman, do you just walk in for the hotel or make a reservation? visiting this Sept.
Amazing and very useful article ..
Planning a trip to Laddakh in this season . I have two slots available 15-30 th August or 1st to 15 th September . Which one would be better ? Also would I see snow during my Srinagar – leh or leh- manali bus route ? I will take a flight from Delhi to Srinagar and later from kuki to Delhi . Apart from these how much will it cost me per day ( food+ accommodation ) I will travel alone . I will suggest he september one. There will not be any snow during that time of the year. Snow will not be available in winters or next early season. Rest the article explains the budget day wise in detail. For bookings on bus travels ( jk state transportation ) Srinagar-leh and leh- Manali , do I need to book in advance , Or can I book my ticket for the next morning when I arrive in Srinagar? C) camping and trekking bookings for places to be visited from Leh , do I need advance bookings ? If yes could you please mention some names ? Do I need to see a travel agent ? I will be visiting from Paris and advance booking seems so complicated . But please throw some light on the scenario if I visit in beginning of September? 2,3 You can get on the spot places to stay in Leh as well as Kargil, just that you may need to roam a bit here and there. You can print these names and call them while nearby. So, it is totally fine to book on the spot. If anyone want luxury and budget both then he can visit Ladakh after 15 August as the peak season starts to fallen down and mid Aug to Mid September not a bad time. I traveled with my 2 friends in last 1st Sep to 7th Sep from Delhi via Flight. Stay 2 night in Leh at a 3 star category hotel, 1 night at Swiss tents Pangong , 4 day taxi to visit Nubra and Pangong and one day rented bike for local sightseeing. This all I have done in 12000/-. This seems really costly to me but when we get to know that people’s spend more than 20000/- for same typo trips then we feel awesome that we have done it at our best with the skills of bargaining and to be aware about the Airlines offers. Yes, Raman very true. But, when you extend the trip from Delhi to Delhi it end up costing more at times than flight tickets got in deal. Fantastic ..domestic flight included in your 12000?? No Jess, flights are not included above presents the example of a road trip starting from Delhi and ending at Delhi. Which hotel and taxi details you require? For the leh – ladakh taxi union rate list 2016 – 17 including the contacts of some reliable taxi drivers within Leh – Ladakh, check the link here. You can get about 12-15% of discount by directly getting in touch with drivers and of course, talking in person rather on phone always help in bargaining more.